Even when half-worn, it’s still safe, thanks to EverGrip wet-braking technology. The MICHELIN® Premier® LTX® tire still stops shorter on wet roads than leading competitors’ brand-new tires. “These tires replaced a set of Pirelli Scorpion Verdes that were half worn at 28,000 mi. on a manual transmission Tiguan. The car has a stiff suspension and although the Pirellis handled OK, the ride was rough and they were very noisy. These Premier LTX were just what we needed. A smooth quiet ride with no reduction in handling. I thought the tread pattern looked aggressive, maybe truck-like and feared that they would still be a bit harsh but these ride very similar to my MXV4 Primacys on our Saab. Someone else reviewed them as “Buttery” and I would agree. 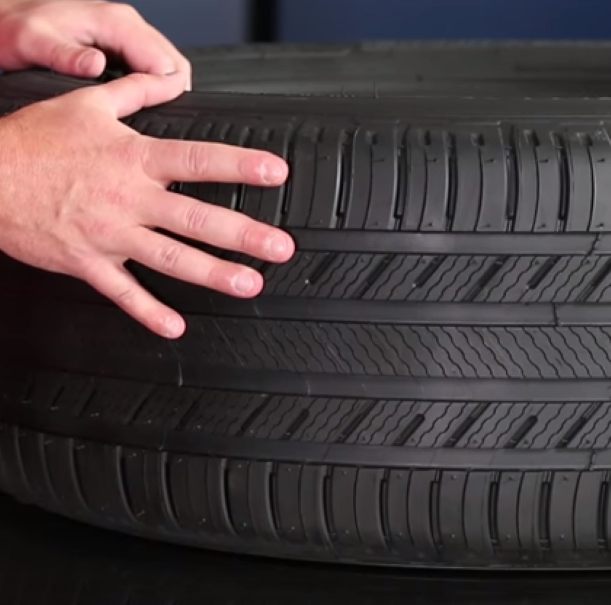 “After a 3000 mile road trip tire performed better than expected. Very nice quite ride at 75. Good handling all the way. Maybe gas mileage took a slight hit.